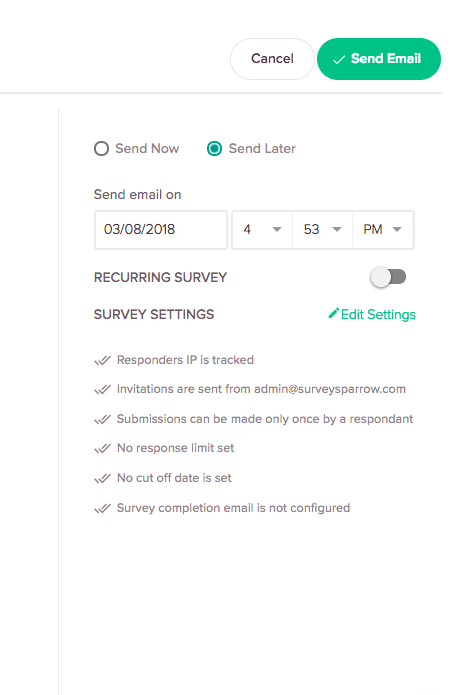 Please note that it is possible to send out your surveys via Email only after your SurveySparrow account is validated using the verification email sent to you. Upon clicking the Email option in the Share Survey page, you will be redirected to the Email Share Page. 2. Here, enter the Email IDs of your audience. You can edit the subject for your email and send out test emails. 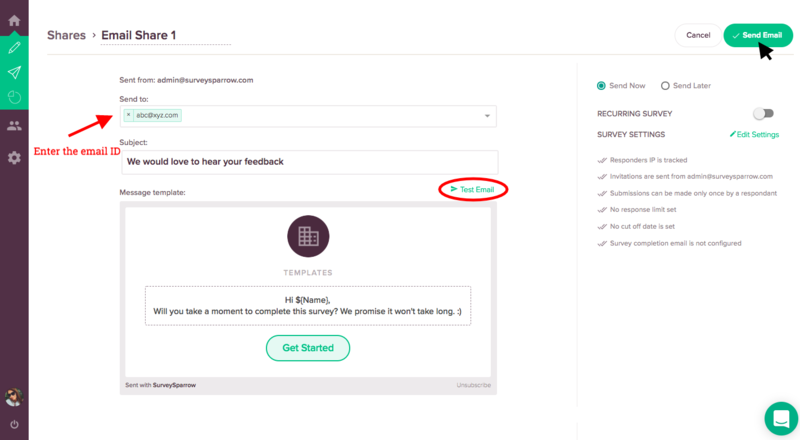 Additionally, you can also add the Recurring Survey feature and configure Reminder emails in this page. Once configured, click on SEND EMAIL icon. 3. Once you have sent out the emails, you can find your email share link. 4. You can invite more participants using the INVITE MORE icon. It is also possible to edit your emails options. Note: If you wish to send the email on a later stage, click on SEND LATER icon and set the date and time as required. Before sending your survey always check your Survey Settings.